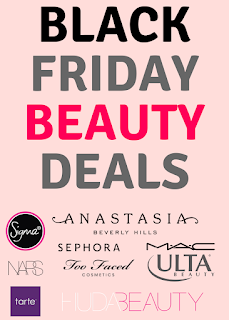 It's finally available at Sephora and it retails for $20 USD ($26 CAD). I love beautyblender and I'm really glad they introduced a bright red one. 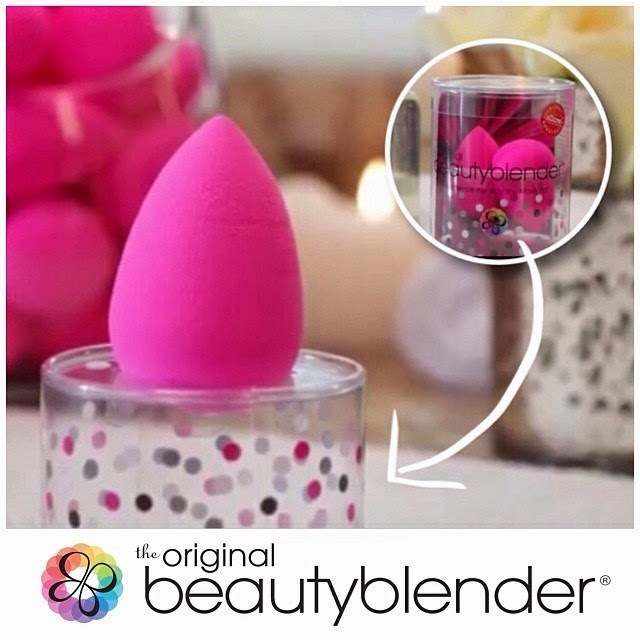 This one is the same as the original beautyblender and gives the same flawless application. 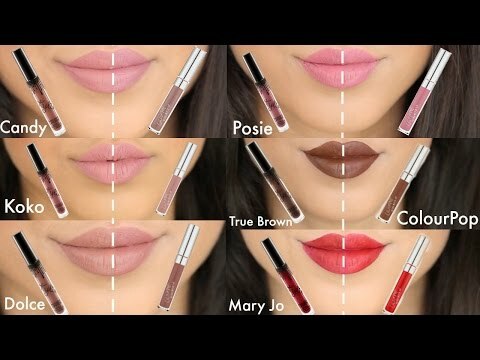 The only difference of course is the color. 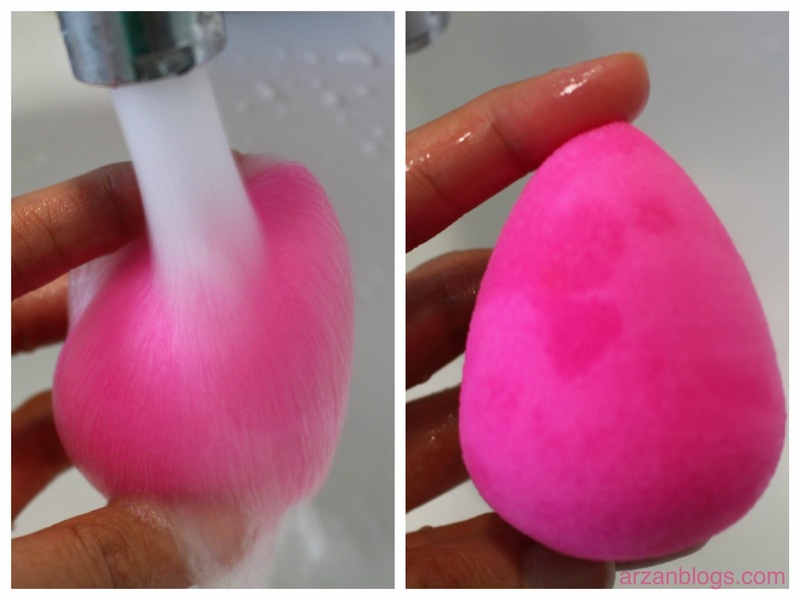 Click here for more information on beautyblender and my review. 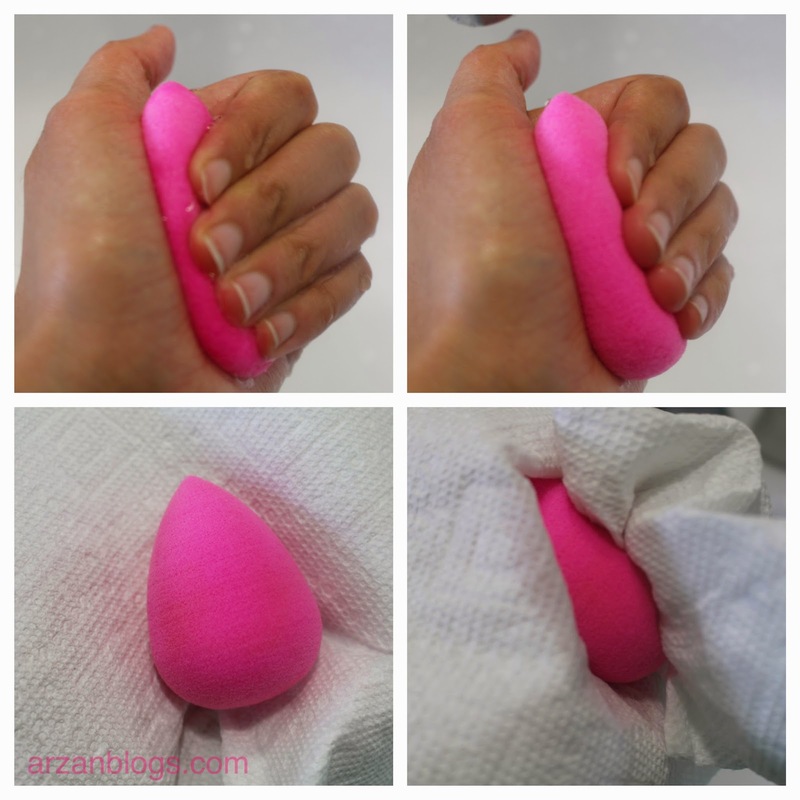 As much as I love beautyblender, it requires some care especially if you want it to last longer. These sponges should typically be changed every 3 months if you use it often. However, if you don't wash it often or let it air dry, then it might start to smell weird or even worse.. mold might grow on it! Yikes! 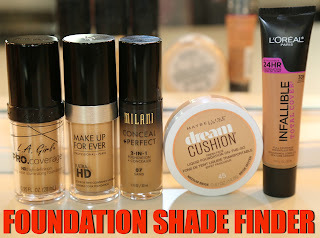 It can be used with foundations, powder, cream blushes/bronzers, primers, etc. It works best with cream products. When the beautyblender is wet, it doubles in size! Once it dries up, it will return to its actual size. I'd recommend washing every use (or every 2 days if you can) and letting it air dry. I know it can be hard to wash it every day but I find bacteria builds in very easily, so that's why I prefer washing it after every use. Although you can use any cleansers (preferably gentle ones), I find that the solid cleanser works the best. I notice there are less stains with it. It's important to let it air dry. If you don't, grow might grow on your beautyblender and you will have to throw it away. You can place it on a any clean surface to let it dry. 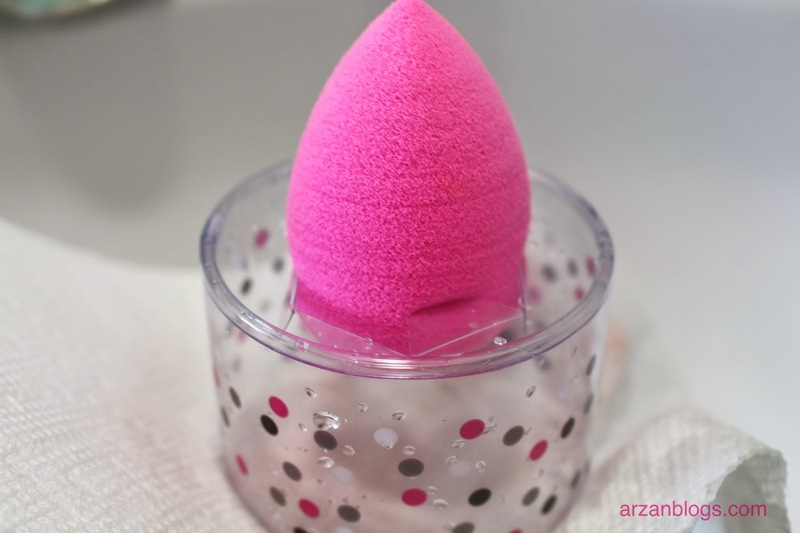 Or you can use the mini canister that comes with your beautyblender to let it air dry. Just put the pointed size inside it. If you bought a set of 2 sponges, then use the holding pedestal to air dry.